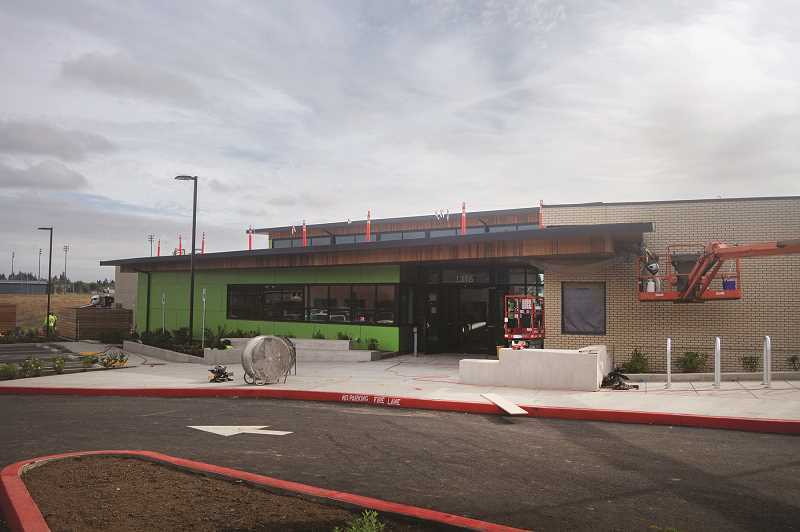 Woodburn School District is putting the finishing touches on two major bond projects just in time for the new school year. 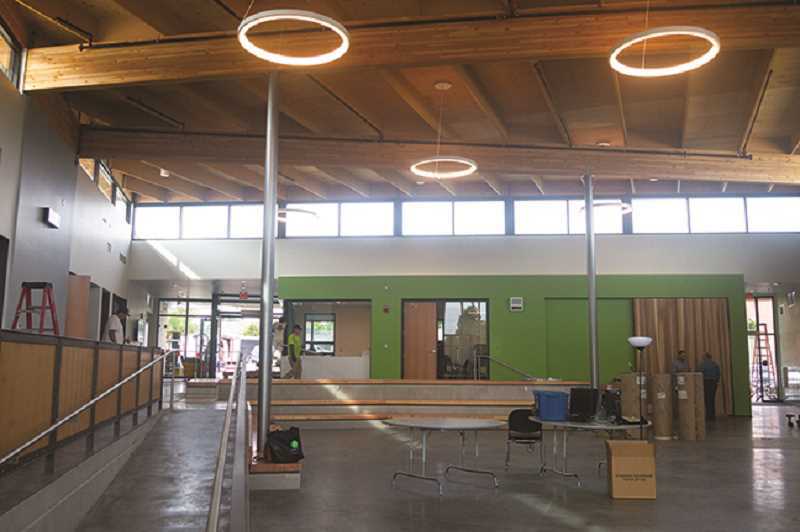 The new Success Alternative High School is ready for students, as is Washington Elementary School. The two projects were funded primarily as part of a $65 million bond passed by voters in 2015. The new Success building is next to the school district office, a big move from the district's former rented building across town.The Success school is an angular modern design, open and bright with large windows and a communal gathering and teaching space in the center of the building. 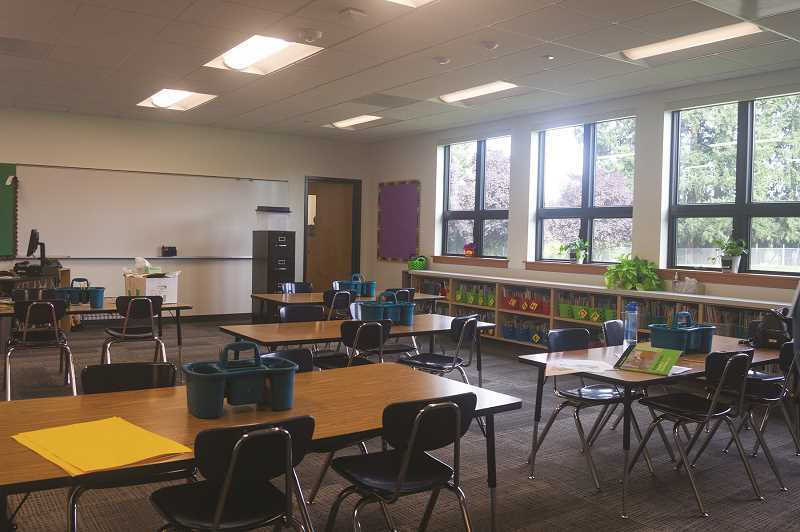 It's a change from traditional teaching spaces, where teachers lead an isolated classroom, said WSD Superintendent Chuck Ransom. "The design is about open flexible common space," Ransom said. Sunlight flooded the building from skylights and floor-to-ceiling windows. "Natural light and open spaces are good students, good for the human brain," Ransom said. Classrooms at Success are arranged around the central open space, with optional garage style roll-up doors so that teachers can open their rooms for group activities. The classrooms have been designed with some other modern twists, including walls painted white that can be written on with whiteboard markers. Success will be powered by a rack of solar panels, already up and running, which produce enough juice to power the school and offset electricity costs at nearby Woodburn High School with surplus electric credits. The building was completed ahead of its eight-month schedule, and is ready to start its first semester with about 70 students. The building has room to accommodate 125 students, and space to add a further two classrooms if enrollment grows. Meanwhile, at Washington Elementary work was a bit more complicated than building from a fresh start. The bond improvements were finished alongside seismic upgrades which protect the building's unsecured masonry walls against earthquakes. Washington has a new two-story classroom building with room to accommodate 650 students. The school's gym has also been rebuilt and expanded to a full-size gym with wood flooring and bleachers and room to accommodate the entire school population. The district did some swapping of spaces at the school, converting its old library into three new classrooms, and turning its old cafeteria into a library space which will be done in a few weeks. Washington's other improvements include accessible bathrooms, underground water lines for fire suppression system, a storm water management system, a new covered play area, bus turn-around and staff parking. The district purchased several adjacent properties to build Washington's new parking area, which will help eliminate the long lines of traffic that used to build up on Lincoln Street as parents dropped off or picked up their kids. Construction at Washington also took place during the school year and staff and teachers had to navigate students through an ever-changing campus. Washington Principal Alfredo Belanger said that while the year had been hectic, with parts of the campus closing and constant loud construction noise, the construction crews were great to work around and made every effort not to disrupt classes. His teachers and staff are already excited to be working in the new classrooms, Belanger said. "You look into the new classrooms and it's like, aaah… I have room, I can breathe," Belanger said. "We're very appreciative for all the work done by the community, it's a blessing for our school. It went from being outdated to a modern facility," he said. Washington has one major piece of construction left to finish: a safety vestibule at the front entrance. Staff currently has electronic control over the building's doors, but a vestibule will also provide shelter for visitors waiting to be buzzed in. The school will be able to install the safety feature by 2020. The safety vestibule feature will be added to multiple other schools in the district as well. Several of the district's other bond projects are also wrapping up. 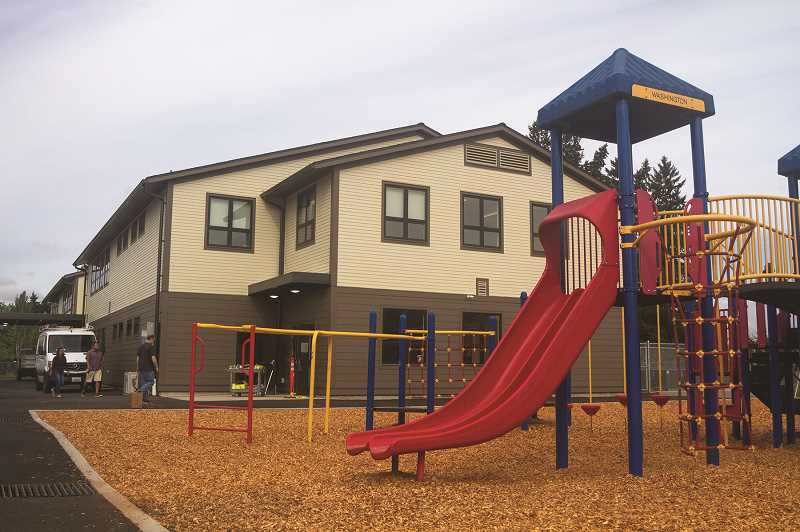 Seismic upgrades were completed at Lincoln Elementary, along with replacement of half of the school's windows with modern double-pane windows. At French Prairie Middle School the gymnasium floor is being replaced and will be finished during the school year. Nellie Muir Elementary's heating, ventilation and air conditioning units are being replaced during the school year, with a classroom addition and gym improvements scheduled for next summer.